The Fed’s own risk models painted a contradictory picture by spiking up just before the FOMC meeting. As the Fed continues to avoid rate hikes by kicking the decision down to December or possibly 2016, the new hawkish voting members of FOMC will be put in a tough spot to fight consensus. While the new roster could potentially increase the number of dissenters, the dovish Permanent voters should be able to proceed according to their blueprint. The chart above illustrates Financial Stress Indicators published by the St. Louis Fed and the Cleveland Fed. The sharp spike in these indicators, just before the Fed meeting this month, could explain how the Fed decided to hold rates at historical lows despite positive US economic data. 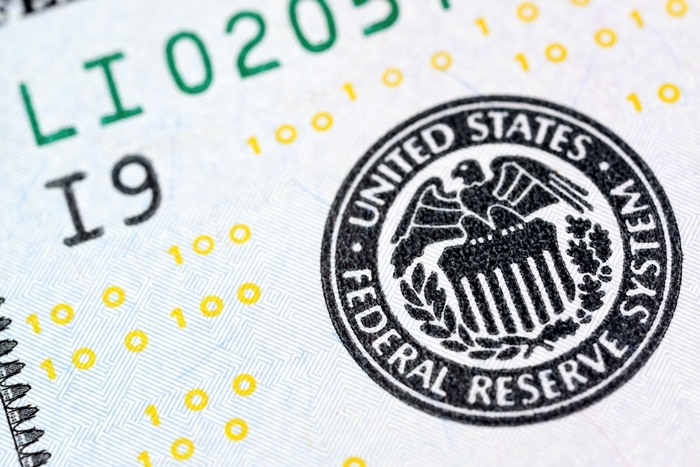 The contradiction between several key inputs that go into the Fed’s rate setting process can be confounded further with the new voting members coming in next year. With no rate hikes in September, the possibility of a hike in December or early 2016 increased significantly. Comparing the policy tendencies of outgoing and incoming voting members, the FOMC seems to be tilting towards a hawkish crowd – this will lead to a higher number of dissenters. However, given the dominance of the dovish core, Janet Yellen and the permanent members will continue to dictate key decisions around the timing and the trajectory of the rate hike. Disclaimer: Please remember that past performance may not be indicative of future results. Different types of investments involve varying degrees of risk, and there can be no assurance that the future performance of any specific investment, investment strategy, or product (including the investments and/or investment strategies recommended or undertaken by Syntal Capital Partners, LLC), or any non-investment related content, made reference to directly or indirectly in this newsletter will be profitable, equal any corresponding indicated historical performance level(s), be suitable for your portfolio or individual situation, or prove successful. Due to various factors, including changing market conditions and/or applicable laws, the content may no longer be reflective of current opinions or positions. Moreover, you should not assume that any discussion or information contained in this newsletter serves as the receipt of, or as a substitute for, personalized investment advice from Syntal Capital Partners, LLC. Please remember to contact Syntal Capital Partners, LLC, in writing, if there are any changes in your personal/financial situation or investment objectives for the purpose of reviewing/evaluating/revising our previous recommendations and/or services. Syntal Capital Partners, LLC is neither a law firm nor a certified public accounting firm and no portion of the newsletter content should be construed as legal or accounting advice. A copy of the Syntal Capital Partners, LLC’s current written disclosure statement discussion our advisory services and fees continues to remain available upon request. Please Note: Past performance may not be indicative of future results. Therefore, no current or prospective client should assume that future performance will be profitable, equal the performance results reflected, or equal any corresponding historical benchmark index and/or combination thereof. The historical performance results for the indices is provided to assist an individual client or prospective client in determining whether a certain model portfolio meets, or continues to meet, his/her investment objective(s) and risk tolerance. Please Also Note: (1) performance results do not reflect the impact of taxes; (2) It should not be assumed that account holdings will correspond directly to any such comparative benchmark index; (3) comparative indices may be more or less volatile than the Syntal model portfolios; and (4) a complete description of each reflected index is available upon request..
ANY QUESTIONS: Syntal’s Chief Compliance Officer, Robert Carlyon, remains available to address any questions regarding the performance presentation.